I’ve been back since my initial visit. I drive through Brenham most of the times that I head to Austin or further west. There is a little shack just on the West side of town that formerly had a hand drawn sign labeled “J’s BBQ” and on seemingly random occasions I would see smoke rolling out of the little smoke room next to the small building. The location is between Brenham and the giant barbecue pit “Indisputable Cuz” which is for sale for $350,000. Recently I noticed a new sign for “Truth BBQ” in that spot and saw smoke billowing consistently on the weekends as I drove past. After a multi day road trip with a few barbecue stops I was hesitant to stop in but curiosity got the best of me, and I stopped in for a pound of brisket to go. I follow a rule of thumb of three separate visits before publicly commenting on a restaurant’s overall quality, but I would like to say at least something about Truth BBQ now as it will take me a month or so before I can get in two more stops and try the full menu. 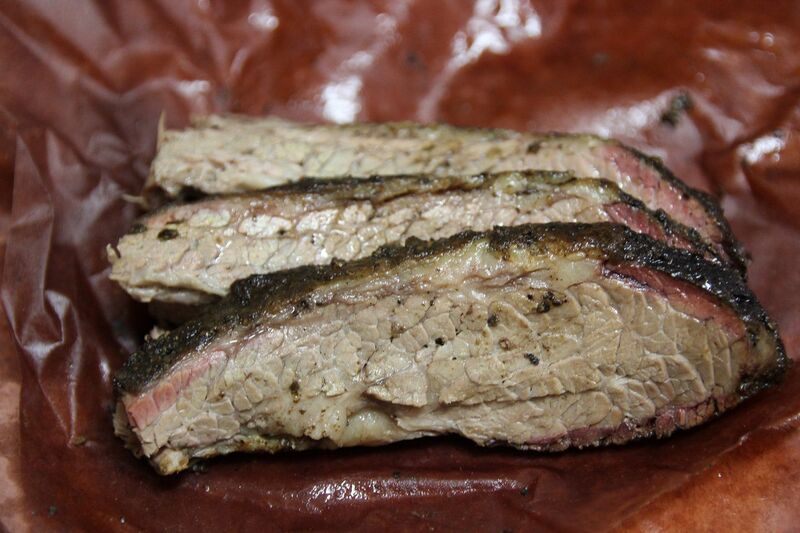 Quality brisket is one of the hardest things to do right, and what was served to me was pretty impressive. The brisket was moist and flavorful, and although I prefer a brisket rub with lots of pepper the salt-heavy rub provided a nice flavor boost. I didn’t chat with the owners, but it seemed the wood used might be mesquite or a mix. Also impressive was this was brisket purchased at two in the afternoon, which can often find a joint selling dried out or steamed brisket. I didn’t have time or room in my stomach to try more of their menu, but if the brisket is any indication, this might become a nice little stop on the way between the big cities. Try it out and let me know on Twitter what you think!